Yes, the formula is over used now and the scenarios have become ever more ridiculous, but there’s something about the Final Destination series that I think I’ll always enjoy on some level. FD5 isn’t going to convert anybody who isn’t sold on the idea, but for those who like it it was exactly what it needed to be. The opening bridge scene is near perfect in its ridiculousness and the death scenes kept me guessing all the time. A great ‘switch-your-brain-off’ film. Gory, feminist tale from May director Lucky McKee. 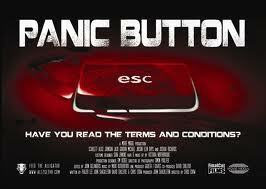 Heightened emotions, bloody action and heaps of shock make for an intense and uncomfortable experience. Would take a lot for me to sit through it again – in a good way. A fitting send-up of social networking at its worst and most terrifying. You will always consider the terms and conditions that little bit more after watching this one. While the release date marks it as Welsh director Chris Crow’s first film it is actually his second (after Devil’s Bridge) and it’s stylistic choices further confirm how much of a directorial force he is becoming. Described as the ‘Niles Crane’ movie, the reason for which will be clear to anyone who watches it. 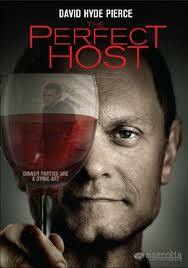 The filmmakers know they have David Hyde Pierce and use him to his full potential. Almost cried laughing at least once throughout. A top notch performance works alongside more sinister elements. 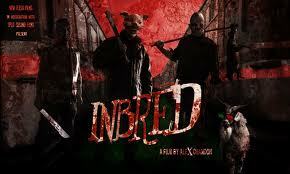 This was the only film to beat Some Guy Who Kills People in audience votes at the Abertoir festival. A brutal look at Anglo/Welsh relations, but on a separate level provides a far more than adequate stalk and kill film with innovative camera work and gritty British shooting to provide an entertaining film for the world at large. 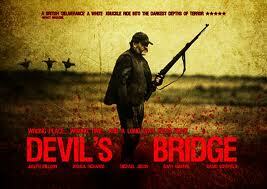 I think people probably prefer Panic Button but for me, Devil’s Bridge as a directorial debut is a real force. The risk of adding to the Scream trilogy was something I was well aware of before going to see this. 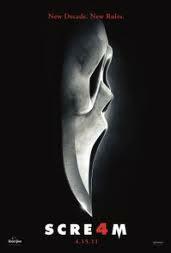 While I love the first and second in the series, I’m one of those who didn’t much care for Scream 3 so I thought I would be even less impressed with the fourth instalment, but the remake/reboot craze is perfectly handled and reboots the series with all the fun references and humour from the first film. It’s also got one of my favourite scenes of the year, which I won’t go into here as I don’t want people to have their fun spoiled. Balls-out, bawdy gore fest and I loved every second. Purely British in its execution with laughs and winces around every corner. Can’t wait for more people to see it. Has real potential to become a powerfully loved cult hit. Probably not strictly a horror, but one of those films that kept me thinking about it long after the credits had rolled. Featuring one of the few scenes to ever make my blood run cold. As a standalone and also a companion piece to The Wrestler, Black Swan works on a psychological level and bucks the trend for what a ‘ballet movie’ should be. Reminded me a lot of Repulsion, another film that really sticks with you. Heart-warming slasher comedies come few and far between and I doubt many could pull it off with the grace that Some Guy does. My favourite film from the Abertoir film festival this year (and by all accounts everyone else’s until The Perfect Host on the final day), it’s a great film, perfect for horror fans, but also accessible enough for those too timid for full genre pieces. Ben Wheatley’s genre-bending film makes my number one for the year simply for the way it made me react on an emotional level. 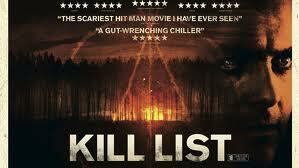 I go to see a lot of films alone and only Kill List has made me wish I hadn’t gone solo. It’s difficult to pick a film like this as a number 1 because such things normally require details, but Kill List needs to be seen blind. Nothing can recreate the feeling of watching it for the first time, but it’s really fun to watch others watch it when you know the secret. Ha! That’s fantastic and a little odd to be out in Australia first, but still so glad to hear it’ll be out soon. Should have a full review for it soon.